What’s in a name? Would a sequel by any other name rake in the same amount of dough? This weekend brings us Mission: Impossible — Fallout, and while there is considerable excitement to see Tom Cruise don his Ethan Hunt skills once again, there is a quiet dispute about the grammar in the film’s title. A colon and an em-dash? Or should there be a second colon there? Perhaps just a space? Punctuation issues aside, Fallout — as the movie is colloquially referred to — is the latest in a series of bland sequel titles that seemingly serve no purpose, aside from jamming the franchise name and a colon in there. 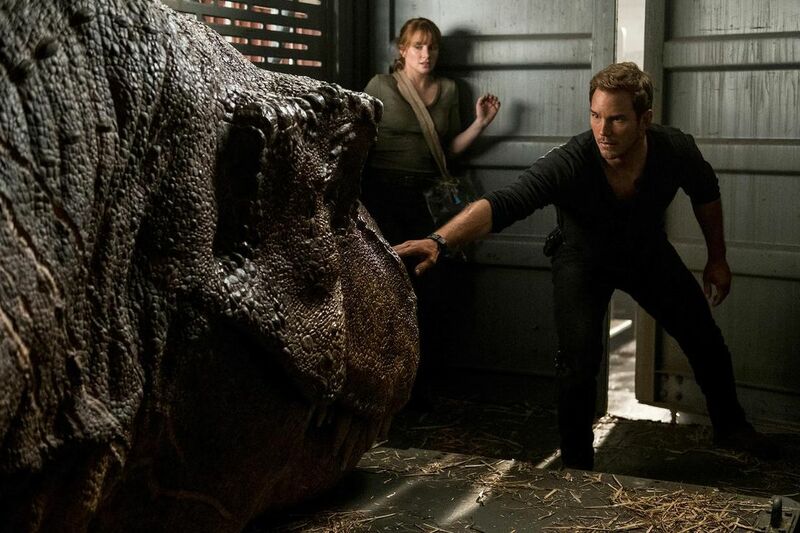 Consider the summer’s other big outings: Jurassic World: Fallen Kingdom, Avengers: Infinity War and Sicario: Day of the Soldado. Even ones like Hotel Transylvania 3: Summer Vacation and Solo: A Star Wars Story. They slightly highlight what the movie will be about and feel like the result of a word jumble. They’re far from the only ones. The titles for sequels to blockbuster films often feel like they were chosen by a strange game of Mad Libs in which studios could only pick from a few stock phrases. Of course, in sequels things are bound to return — Batman Returns, The Incredible Hulk Returns, The Mummy Returns, Superman Returns. But sometimes, something new might “rise” — 300: Rise of an Empire, Fantastic Four: Rise of the Silver Surfer, G.I. Joe: The Rise of Cobra, Terminator 3: Rise of the Machines. And I’ll be darned if everything isn’t turning into a “legacy” — The Bourne Legacy, Alien Nation: The Udara Legacy, Tron: Legacy. And that’s just to name a few. Apocalypses and armageddons are shockingly common: Resident Evil: Apocalypse, X-Men: Apocalypse, Warlock: The Armageddon. It’s always the “age” of something or the other: Avengers: Age of Ultron, Transformers: Age of Extinction, The Dark Crystal: Age of Resistance. And there’s an awful lot of “revenge” going on: Star Wars: Episode III — Revenge of the Sith, Transformers: Revenge of the Fallen, Jaws: The Revenge, A Nightmare on Elm Street 2: Freddy’s Revenge. Movie sequels used to generally rely on numbers (think: Ghostbusters II, Back to the Future Part II, even the somewhat recent Iron Man 2), but numbers are mostly out of the picture. Still, the marketing budgets for summer blockbusters such as these can easily exceed $150 million. With so much money, it seems that major studios could shell out a few bucks to have some clever copywriters come up with titles that might stand out among the many worlds and kingdoms that are always rising and falling. Because the phrase itself doesn’t matter, some sequels do get a little wackadoodle with their titles, playing with these conventions to create puns that, depending on your particular constitution, are either cringe- or praiseworthy. Some personal favourites include: Alvin and the Chipmunks: The Squeakquel, Dumb and Dumber To, Gingerdead Man 2: Passion of the Crust, Piranha 3DD, and the two O.G.’s: Speed 2: Cruise Control and Die Hard 2: Die Harder. That said, there’s no hard and fast rule to naming sequels. As Faber said, the Fast and Furious series shows just that. It threw convention out the window of its NOS-fuelled supercars. The movies’ titles appear to follow no pattern whatsoever. The third — The Fast and the Furious: Tokyo Drift — might seem to follow a traditional formula for sequel titles, but the fourth is nearly the same title as the first, only it dropped the article “the” and transformed its “and” into an ampersand. Surely there’s a team of mathematicians working around the clock trying to decipher whatever algorithms created these. But what’s important is that the words “Fast” or “Furious” — which might catch the eye of someone scrolling through Facebook — always appear. So what’s in a name? Not much, as it turns out. All said, any quest to find the perfect sequel title is probably a pointless affair. After all, what could ever top Rambo: First Blood Part II?